A Topic Conference on the 2018-19 Stoa Team Policy Debate Resolution! This Is Not A Typical Debate Camp! There are no lectures on debate theory, no lab groups, and no practice rounds. The focus is on learning about the resolution. The ideal debate season starts with head-knowledge about the resolution. First Look’s expert speakers provide this, from a variety of different perspectives, directly to you. Head-knowledge, resources, and case ideas are the fruit of this concentrated, two day conference on the 2018-19 Stoa Team Policy Debate Resolution. Debaters at NITOC 2018 regularly quoted experts who spoke, in person, at last year’s First Look conference. This is your best opportunity to interact with experts on the foreign aid topic—experts who everyone will be quoting this debate season. Don’t miss this chance to see and hear our nation’s experts clash on the foreign aid debate! Regular pricing is $150 per individual or $300 per family (includes two or more people). – Why is there poverty in foreign nations? – What government programs exist to deal with foreign needs? – What private programs exist? – Can our “helping” actually “hurt”? 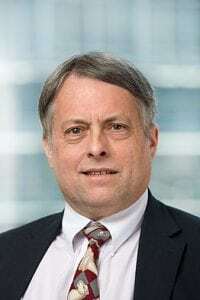 Doug Bandow is a senior fellow at the Cato Institute, specializing in foreign policy and civil liberties. He worked as special assistant to President Ronald Reagan and is editor of the political magazine Inquiry. He writes regularly for leading publications such as Fortune magazine, National Interest, the Wall Street Journal, and the Washington Times. Bandow speaks frequently at academic conferences, on college campuses, and to business groups. Bandow has been a regular commentator on ABC, CBS, NBC, CNN, Fox News Channel, and MSNBC. He holds a JD from Stanford University. 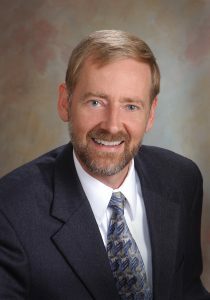 Economic Thinking Program Director, Gregory F. Rehmke, has directed educational programs for high school, homeschool, and college students for over 20 years. Economic Thinking is an educational nonprofit dedicated to teaching how economic freedom, property rights, and the rule of law bring progress and prosperity in America and around the world. Greg has a degree in Economics from the University of Washington and has worked with the Reason Foundation, the Institute for Humane Studies, the Center for the American Idea, and the Foundation for Economic Education. 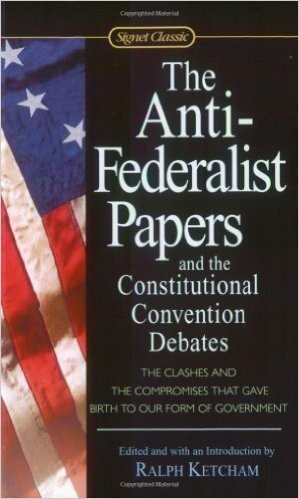 Mr. Rehmke has published articles in The Freeman, Reason, DailySpeculations.com, and the MasterResource blog. Mr. Rehmke is coauthor of the Complete Idiot’s Guide to Global Economics. 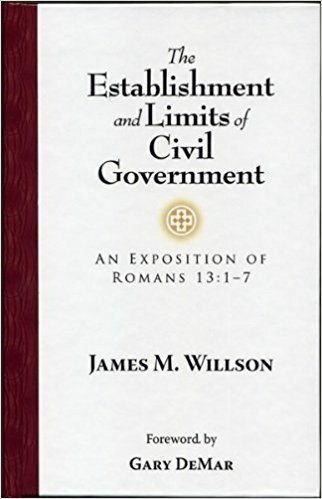 Mike Winther, Political Scientist and Lecturer on moral principles of government and economics is President of the Institute for Principle Studies, a California-based Christian research and educational institute dedicated to making the Biblical case for the proper role of government. Mike sits on the Board of Scholars at the Mackinac Center for Public Policy, holds a degree in Political Science from the University of Idaho, and is a former professional campaign consultant. As a frequent speaker at conferences and conventions, Mr. Winther teaches government, economics, and history to audiences throughout the country. Mr. Winther has written numerous articles and essays and is also the co-developer of a civics and economics curriculum that teaches the principles, philosophy, and purpose of government from a Christian perspective. Mr. Winther also has an extensive background in forensics (debate). 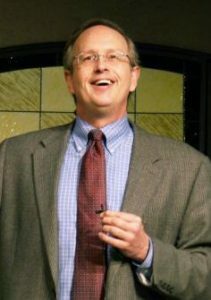 He has participated in speech and debate activities as both coach and competitor and is the author of a textbook on rhetoric and academic debate titled, “Rhetoric Through Policy Debate.” He is a frequent speaker at debate camps and workshops and regularly presents at conferences for many speech and debate leagues across the country. Dr. Ravi I. Jayakaran is a committed Christian leader with well over three decades of experience leading international poverty reduction and strategic development programs. As well as being the President/CEO of Medical Ambassadors International, he is the Catalyst for Integral Missions for the Lausanne Movement. Dr. Jayakaran has worked in senior management positions in the corporate sector, international NGOs including World Vision International, the Asian Development Bank, and the United Nations Development Program (UNDP) in SE Asia. Dr. Jayakaran has lived and worked long-term in India, Cambodia, China and the US and provided technical support in more than 23 countries on issues of Transformational Development, Regional Economic integration, Integral Mission, Relief & Development, Participatory Poverty alleviation and development, Public Health, and prevention of trafficking. 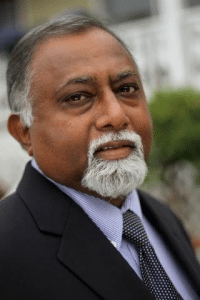 Besides the Accord Network board, Ravi serves as a member of the board of directors on several other boards, including the Chalmers Center and Manyata Ministries. Ravi and his wife Vimla live in Ripon, California. Vimla is an International Baccalaureate and taught at the prestigious International School of Phnom Penh. They have two grown up sons who know and love the Lord, and are married and have families of their own. More information on Ravi’s work and his publications are available on his website at www.ravijayakaran.com and at the Medical Ambassadors International website www.medicalambassadors.org. Dr. James Ahiakpor is Emeritus Professor of Economics at Cal State East Bay. He was born in Ghana, West Africa. 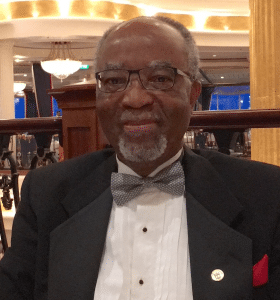 After earning his Masters in Economics at the University of Ghana, he worked as a Research Fellow and taught economics at that university for three years before going on to earn his MA in Economics at the University of British Columbia, Canada, in 1977. He earned his Ph.D. in Economics at the University of Toronto, Canada, in 1981, specializing in Monetary Theory and Development Economics. He taught Economics at Saint Mary’s University, Halifax, Nova Scotia, Canada for ten (10) years as Assistant then Associate Professor before moving to California State University East Bay in fall 1991 at the rank of Associate Professor. Dr. Ahiakpor was tenured and promoted to Full Professor in fall 1993 and served as Department Chair from January 1994 till August 2000. He has been Emeritus Professor since fall 2016. Marieke Desmond (née van der Vaart) is a writer with a background in journalism and non-profits. 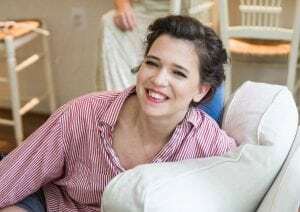 A high school homeschool debater herself, she pursued American Studies at Hillsdale College where she was the editor of the Hillsdale Collegian. After college, she launched into the development and non-profit world in Washington, D.C. and Pretoria, South Africa. For two years, she worked with Raise the Children, International spearheading their teacher-exchange program for rural orphan scholars. Upon returning to the U.S., she worked in journalism and politics. She has written for The Washington Times, USA Today and most recently for U.S. Senator Ben Sasse. Marieke and her husband live in Salinas, California, where they build web presences and content for clients across the country. Ask her about food, fiction, or if you dare, micro-enterprise loans. The conference is taking place on the CSU East Bay campus in the Meiklejohn Hall building (MI) in room MI-2064. A map of the campus is available. (MI is in the bottom right hand corner.) Additionally, a parking permit is required on Friday. Make sure to indicate on your registration whether you would like to pay for this in advance at a cheaper rate. Our facility in conveniently located near 3 major airports! Contact the Institute for Principle Studies office at (209) 575-2005 or email Steven Butner, at [email protected].